It’s Monday morning, which usually finds me poring over job search sites as I seek to reenter the traditional workforce after a 17-year absence. However, Monday morning also means that a new weblog post is due, so this post is a collision of sorts between the two activities. Over the past four months I have revised my resume, scanned writing samples, joined online job search communities, and updated my work wardrobe. I have submitted scores of applications, fielded phone queries, renewed networking relationships, and interviewed four times. I have, to date, no offers. To a certain extent, I was expecting this. I was laid off when Hanna was a baby, and it took a full year to find a new job. This time circumstances are less dire – I am no longer a struggling single parent – but there is that pesky gap in my work history to contend with. True, I kept busy with volunteer and freelance work, but the reality is that I am competing for mid-level jobs with current employees wanting to move up the corporate ladder. As for the entry level positions opened up by their upward mobility, I am both overqualified and competing with a horde of eager new graduates. If I were making a hiring decision, I probably wouldn’t choose me either. Which brings us to this past weekend. Phil and Joseph were camping, Laura had her usual array of weekend activities, and I had plenty of time to myself. Instead of working on my weblog, I took the opportunity to do some soul-searching. Despite knowing that a job search at my age is likely to be a long haul, the seemingly minimal level of interest in my resume has unsettled me and eroded my already fragile self-confidence. I have also come to the conclusion that I am already mourning the loss of freedom over my time. While the logical part of me understands the need for increased stability in income and benefits, the emotional side of me realizes what a blessing it is for me to be at home. Generally our children are at the point where they require less hands-on care, but even as they grew older, so did our parents. Phil’s dad and mine passed away within months of one another and our mothers require increasing care. Over the past five years I stepped into the role of medical caregiver for them. It is a rare week without an appointment for somebody. I have grown accustomed to being able to do whatever needs to be done whenever it needs to get done, whether running a forgotten assignment to school, picking up a prescription or taking a car to the mechanic. Diverse work history of highly responsible positions within state and federal government, the private sector and freelance. Preference to finish one task before starting another. This led me to consider jobs that I can do vs. jobs I would love to do. Of all the possibilities I could think of, being a travel reviewer or blogger would be my dream job. Ideally a semi-monthly jaunt to an interesting location scheduled neatly between activities and responsibilities at home. It would involve travel, writing, reading and photography. I would scout out local customs, foods and crafts. While my dreamer side seeks a way to make this happen (including how to stand apart from everyone else in the world who would love to do the same thing), the economist in me insists that the optimal use of my time right now is to return to finding a local job with benefits. So until next time, it’s back to the want ads. Last Wednesday was Missouri Day. I’m not sure why it is celebrated on the third Wednesday in October. It seems like more people would remember it on August 10 (the anniversary of statehood in 1821) or May 8, when it could share the statewide observance of Truman Day. But I digress. I got a Capital of Awesome tee shirt, and wore it proudly on Missouri Day. 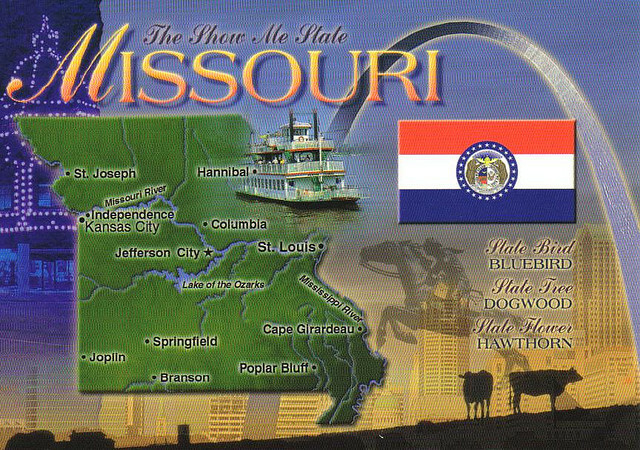 If you are not fortunate enough to hail from Missouri, you might be wondering what is so awesome. Well, Missouri has it all: rolling plains, mountains, forests, farmland, small towns and big cities. And that’s not all. Three of the largest rivers in the United States – the Mississippi, Missouri and Ohio – converge in Missouri. We have the St. Louis Gateway Arch, Kansas City fountains and the Branson strip. We are home to the St. Louis Cardinals, National League Champions and future World Series winners of 2013. The University of Missouri Tigers and Kansas City Chiefs football teams are each 7-0 so far this season. The Drury University Panthers are the 2012-2013 NCAA D-II national basketball champions. In addition to the plethora of handsome actors from Missouri, we claim a US President, a Miss America and a Miss USA, and Walter Cronkite. Mark Twain. Walt Disney. Scott Joplin. George Washington Carver. Omar Bradley. Laura Ingalls Wilder wrote her books here. The list goes on and on and on . . .
Jefferson City is nestled smack-dab in the middle of the state, just over two hours from St. Louis, Kansas City or Springfield and only 30 minutes south of Columbia. Here’s something I don’t understand: Columbia’s metropolitan statistical area (MSA) includes Moberly and Mexico, yet omits Jefferson City despite all of the shopping and commuter travel between Columbia and our fair capital. What’s up with that, Census Bureau? If the 241st ranked Columbia-Moberly-Mexico MSA were combined with the 272nd ranked Jefferson City MSA, the combined population would catapult mid-Missouri all the way up to 152nd place, nestled between Kalamazoo and South Bend. Now there’s a new challenge for the Chamber of Commerce. I love to travel, but I always appreciate coming home to Jefferson City. It’s been a great place to raise a family with top-notch public and private schools from preschool through college. There are wonderful outdoor venues from outstanding city parks to the Runge Nature Center and rails-to-trails Katy Trail State Park. The mall isn’t much to write home about, but downtown has many great local shops. 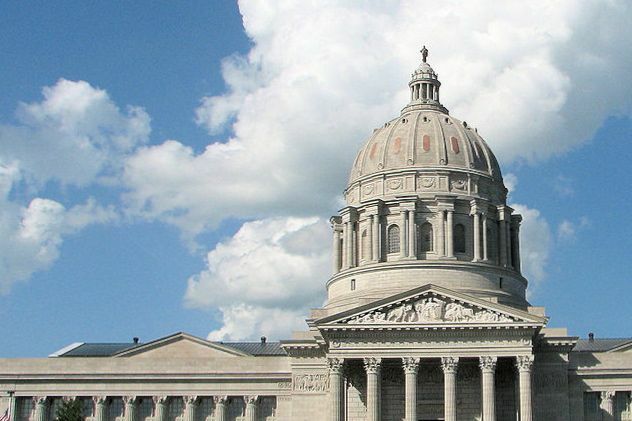 The Missouri State Capitol is considered one of the most beautiful in the nation, with a museum and fabulous art collection including fountains and statues, a collection of two point perspective lunettes and Thomas Hart Benton’s famous mural A Social History of the State of Missouri. During a tour at the Phoenix Art Museum, I recognized the distinctive style of Thomas Hart Benton in a special exhibit. The tour guide asked how I knew about Benton and I told him we were from Jefferson City. He then told the entire group that A Social History of the State of Missouri is the finest example of an American mural anywhere in the world, and that it is well worth making a special trip to see. There is more to see at the Governor’s Mansion, Cole County Historical Society Museum, Lohman’s Landing, the former Missouri State Penitentiary, and one of just 17 veterinary museums, not to mention local theaters and nearby wineries. Hungry? Do yourself a favor – skip the national chains and visit local eateries such as Central Dairy, Zesto’s, Prison Brews, Madison’s Cafe, Yanis’ Coffee Zone, Mel’s Diner or Angelina’s Cafe. If this is not enough to get you to visit, come for the clouds. That’s right – clouds. The clouds over the Missouri River are stunning. Big puffy cumulus clouds, lower level stratus clouds and fog make for postcard views and picture-perfect sunsets. Yup, I love Missouri. It’s not too soon to start planning for the Missouri Day centennial. Save the date: October 15, 2015! The biblical story of Ruth crossed my mind twice this week. The first time was when Malala Yousafzai was explaining how she thought she might defend herself when she initially learned that the Taliban had issued a death threat against her. Her first thought was that she would throw a shoe at an attacker. The reason that this reminded me of Ruth’s story is that Boaz sealed a deal – which allowed him to marry Ruth – by accepting the sandal of another man who relinquished the right to redeem property that he had a higher claim to. There is more to the story than that, but the point is it involved a shoe in a way that we don’t comprehend in our society. Malala’s story may have been no more than a funny mental image to a westerner, but to a Muslim it would be an extreme insult. Malala herself soon discarded the idea because it would make her no better than her adversary. Her final decision was that she would explain to her attacker why she believes that education is important for all children and that she also wished it for the children of her attacker. Then she would let him do as he will. This extraordinary young woman did not have the opportunity to say what she had planned on the day she was shot, but now the entire world has heard. The second reminder was more direct. Yesterday’s sermon was based on Ruth, specifically about her relationships with Naomi and with God. Ruth is one of the few women specifically named in Jesus’ genealogy, noteworthy because she was a foreigner and for the foreshadowing of redemption. My very first attempt to write an Arch-style story was the story of Ruth told from the perspective of Boaz. I enjoy telling stories from the viewpoint of what may seem to be a background character. Since CPH has waived rights to the story, I would like to share it here. I hope that you enjoy it. The grain from each stalk. Some spilled on the ground. The grain that had fallen. They picked the fields clean. But where should he start? His heart filled with pity. “He’s a kind and good man. “Yes, he is a good man. Took Ruth for his wife. Who had a son, Jesse. The Way and the Truth. Kind Farmer Boaz by Sara Hartman, all rights reserved. OK, this is technically not an election update, rather a Vote for Sara Mad Housewife contest update. But it makes for a snappier headline. My picture is currently in fifth place with less than 24 hours to go. One of the other contestants has more than 250 votes, so the overall outcome looks bleak. On the bright side, there are more than 100 likes for my picture. Thanks to everyone who has already voted for my picture and shared the Facebook link. It means more to me than you can know. If you find yourself inclined to make one more plea on my behalf between now and noon (Pacific time) tomorrow, you have my wholehearted support and thanks. 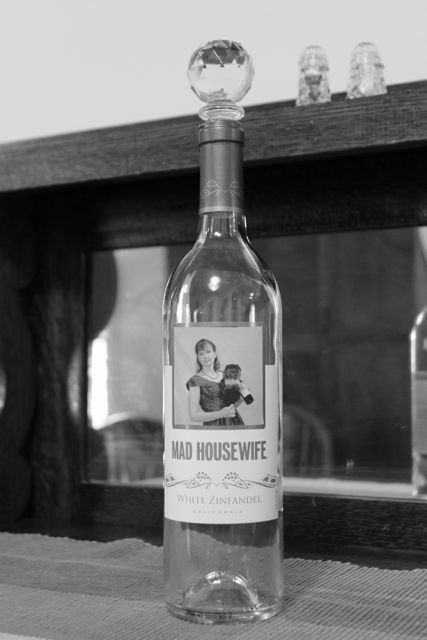 The direct link is http://tinyurl.com/madhousewifesara. UPDATE: A huge thanks to everyone who voted! My picture ended up in a tie for fourth.